I have heard that quote countless times in my clinic from patients. Once people have this idea of “uneven leg lengths” ingrained in their minds, they think that it is an unfortunate permanent fixture of life. I am a bit skeptical when making quick diagnoses such as the one above. It is my opinion that many people who think that they have real leg length differences, in fact, do not. 1. The pelvis, contrary to what many people think, is comprised of two “hemi pelvic bones” that connect from behind to the sacrum (another bone) and in front to each other through a small amount of cartilage. 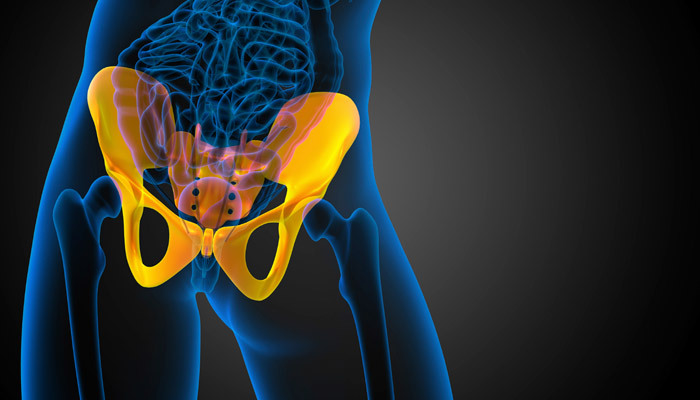 The pelvis is not a singular, immovable bone. One half of the pelvis can rotate or shift in relation to the other side. 2. Our bodies (in particular the pelvis and lower spine) have a remarkable tendency to accommodate to prolonged postures in order to maintain function. 3. Constantly listing one’s weight to one side when sitting at work, placing more weight on one leg than the other while standing, or having a fall where one lands on one side of the pelvis can all cause the pelvis to change position on one side. 4. If the pelvic bones slightly twist, turn, or shift relative to each other as a compensation, they can stay that way indefinitely. This change in the positions of the hemi-pelvic bones can make the legs appear to be different lengths, because the leg bones connect directly into the sides of each hemi-pelvic bone. The problem that comes with having a leg that appears to be longer but actually is not is that very often people will buy a lift to place in one of their shoes to offset the difference. In the long term, this will reinforce the “kinked” position of the pelvis or lower back, and this can unfortunately lead to pain and dysfunction. What should you do if you think that one of your legs is longer than the other? Get it checked out by a professional. Very often the asymmetry of the pelvis can be corrected with gentle movements and home exercises. 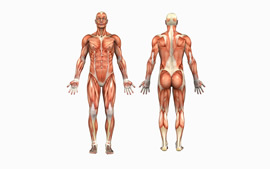 It is also of importance to correct any behavior that you might be doing that is feeding into the pelvic asymmetry. A trained eye can usually pick up within a few minutes movement patterns that may be contributory. Having said all of this… in some cases, patients actually do have a physical difference in leg lengths. 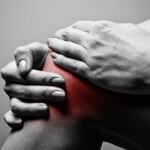 One common cause of this involves disruption of growth plates in the leg from a fracture sustained during adolescence. I have also seen some young adults who have “over stimulated” one leg during their youth with a specific activity or sport. Some football linemen spend years having to push their opponents repeatedly in one direction. This can lead to excessive demand on one leg, which will actually grow more because of the stimulation. In the latter cases, getting a lift for the short-legged shoe might be an appropriate course of action. See a professional in regards to a lift, as very often the correction in the shoe must be done incrementally over time. Unfortunately I am one of the subjects (of assymmetrucal) leg lengths. 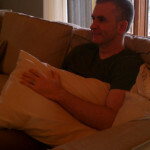 Brian I would call around to PT clinics and ask if there are any therapists that are trained in manual therapy. I am having pain on my “sitting bones for over 5years. It comes and goes, mild most of the time. I went back playing Soccer to keep fit but the injury impedes my running. I went to the doctor who sent me for an MRI on my spine and glute. The MRI came back with my back in perfect condition and also my glute. I was sent to a hip specialist and he took an X-ray and also shows nothing wrong. He said I should stretch my hamstring. Very frustrating. I found your article online about how ankle injury could lead to these symptoms. I did injure my ankle a few times preceding this injury, I.e ankle sprains. I have lost motion in my left ankle. My question is where should I go to get a diagnosis for this injury? Jeff I would find a “manually trained” physical therapist, or an osteopath. Ask around and look online in your area. It sounds like you might need to have the mobility of your ankle checked out. It would not surprise me if that is an underlying cause. I have limb length discrepancy..one cm more on left leg..
1cm is not that big of a deal, it shouldn’t cause a large asymmetry. I would get it checked out by a good PT.